PJ Media: Why does Ilhan Omar (D-Minn.) still have her position on the House Foreign Relations Committee? House Republicans stripped Rep. Steve King (R-Iowa) of his committee positions after making his own controversial remarks. Omar should have met the same fate. But considering recent history, it’s not surprising that Omar remains unpunished. It’s just the latest example of their party turning a blind eye to the rise of anti-Semitism in their ranks over the years—if not embracing it at times. 2013-2014: John Kerry began direct negotiations for peace between Israel and the Palestinians that ended in failure. In summer 2014, a war with Hamas called Operation Protective Edge broke out with over 2500 rockets fired from Gaza into southern Israel. The Obama State Department expressed moral equivalence in calling for both sides to use restraint despite the obvious Hamas provocation. 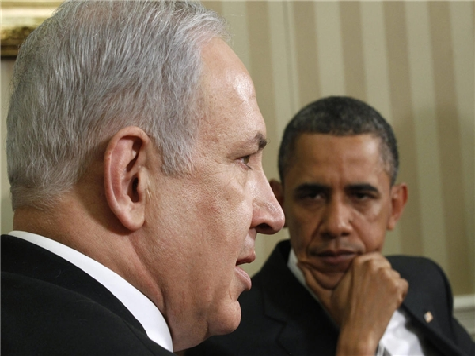 The 2015 Iran nuclear deal further deteriorated the Obama/Netanyahu relationship. On March 3, 2015 Netanyahu gave a scathing rebuke of the Iran deal to Congress. In defiance, President Obama and 35 Democrats refused to attend the speech. On September 10, 2015, the State of Palestine flag was raised at UN Headquarters. No words of protest came from the US president. Newly elected President Donald J. Trump blocked the payment.